The Ambassador is an x-over between the best qualities that classical boosters from the past had to offer. It stands out because of the additional midrange control - a feature classical boosters never cared about. 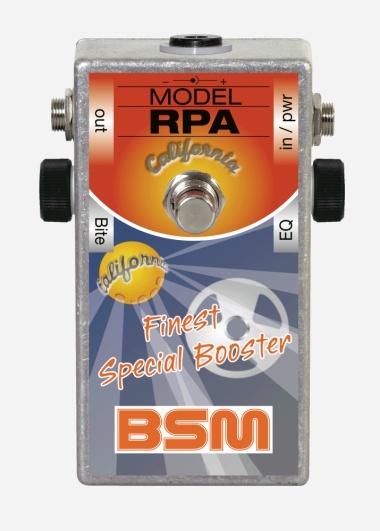 The RPA-California was created especially to achieve Ritchie’s DP Mk3 sound. With its “Bite” control you can dial between the raw and fat “California Jam” sound and “Live in London” sound with more piercing highs and tight bass. 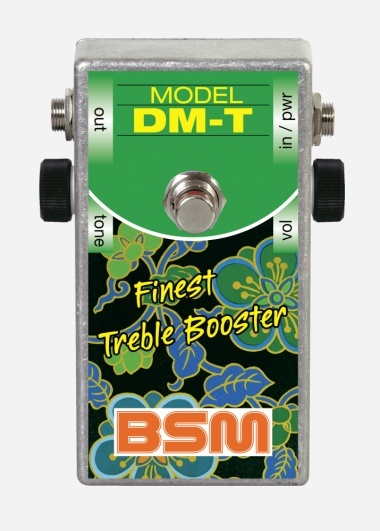 The DM-T is based on the Germanium fitted Winston Treble Booster circuit made in England in the late 60's. 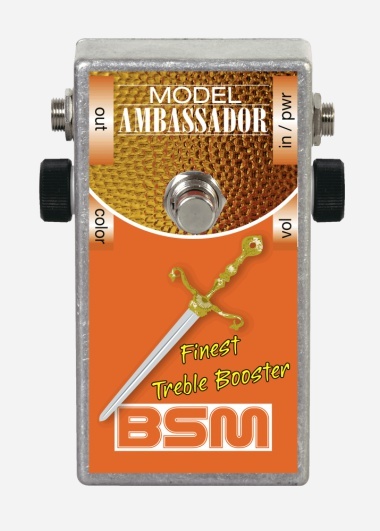 You can dial between a tight bass-cut and a fat midrange/treble sound with a BSM special developed control. A very versatile booster. 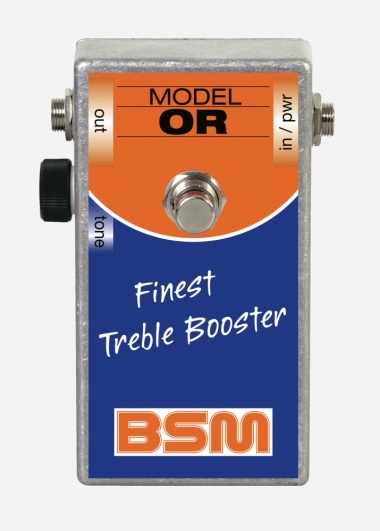 The OR model is based on the British Orange Treble & Bass booster, made in the late 60's. The unit includes a tone control which allows an extraordinary amount of versatility. The VX-T is based on the VX-C model, but with more gain, fattened highs and an adjustable mid range, instead of the bass range of the original for a more modern sound. 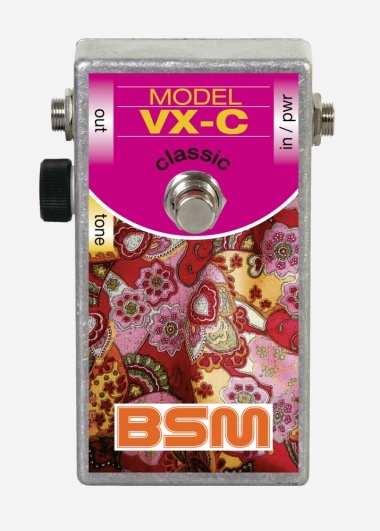 The VX-C is based on the British V*X Bass & Treble Booster, made in the mid/late 60s. 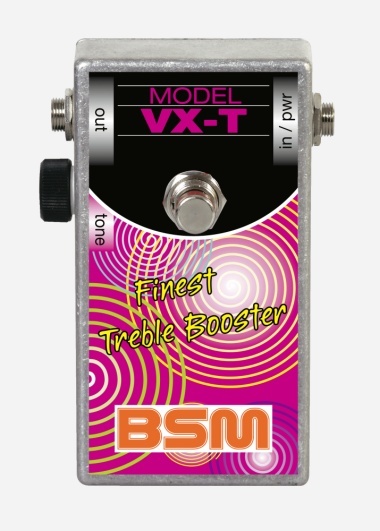 It’s a recreation, based on the second version of the booster, which was used by many bands those days. 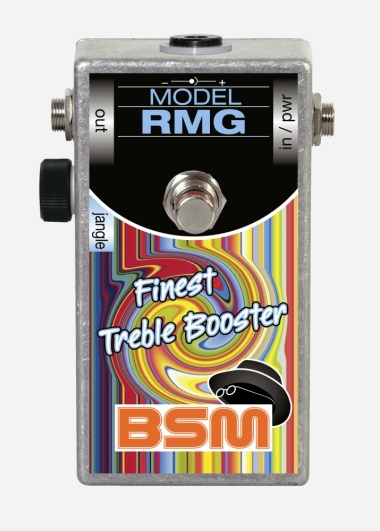 The RMG signature model is based on the original V*X Treble Booster and was modified to produce the clean “jingle jangle” sound of Roger McGuinn and the Byrds. With its almost unity gain, the RMG is the perfect booster for all clean, sparkling sounds (e.g. country), as well as for acoustic guitars.